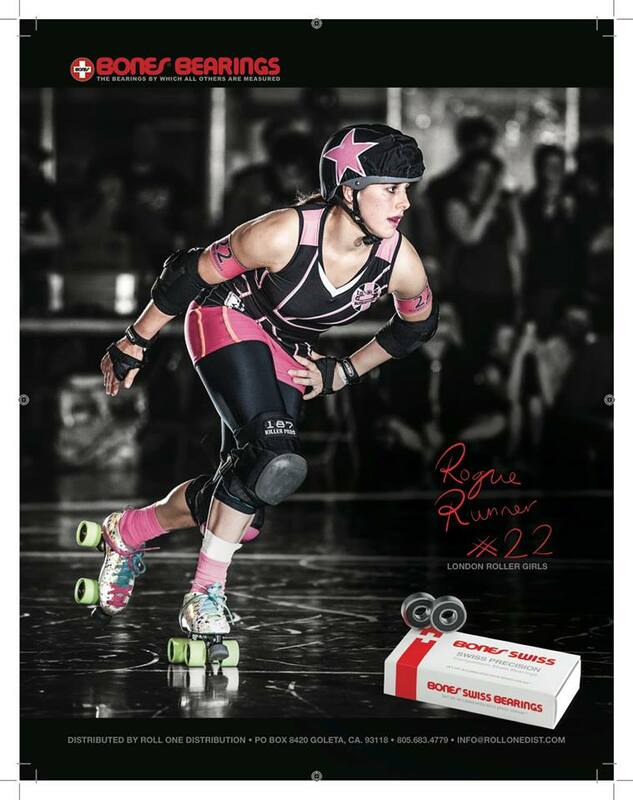 We would like to welcome Rogue Runner of the London Rollergirls to the RollerBones family! Rogue Runner has been playing roller derby for nearly 4 years and skates for the London Rollergirls, London Brawling. As an exclusive Jammer for Brawling she's know for speed and love of learning fun little tricks. Rogue is a personal trainer by trade and is always looking for the best way to get fitter and better at the sport, she also trains other skaters too. Through her business Fitness Gone Rogue she regularly posts useful tips for skaters and sells her roller derby specific training plans. Check it out at www.fitnessgonerogue.com. Rogue was on the London Brawling Roster and played at the WFTDA Championships in 2013. London Brawling was the first non US team to make it. Rogue was awarded MVP for team England's game against team USA in 2012. She was awarded DNN's readers poll third place Breakout skater in 2012. Rogue studied dance for 7 years. You'll always find her on the dance floor at an after party. She lives in a church! It has been converted into flats, but it still looks like a church. At the age of 2 Rogue Runner had a mullet, painfully true. We are proud to have her as part of our RollerBones Family.